Copyright (c) 2012 by Sorkin Type Co (www.sorkintype.com), with Reserved Font Name “Courgette”. 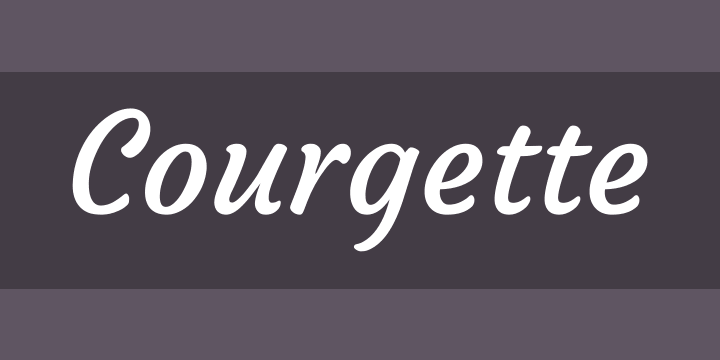 Courgette is a medium-contrast, brushy, italic-script typeface. The genre is traditionally used in large sizes but Courgette was carefully made for the web, with low stroke contrast that works well in smaller sizes and even in text.